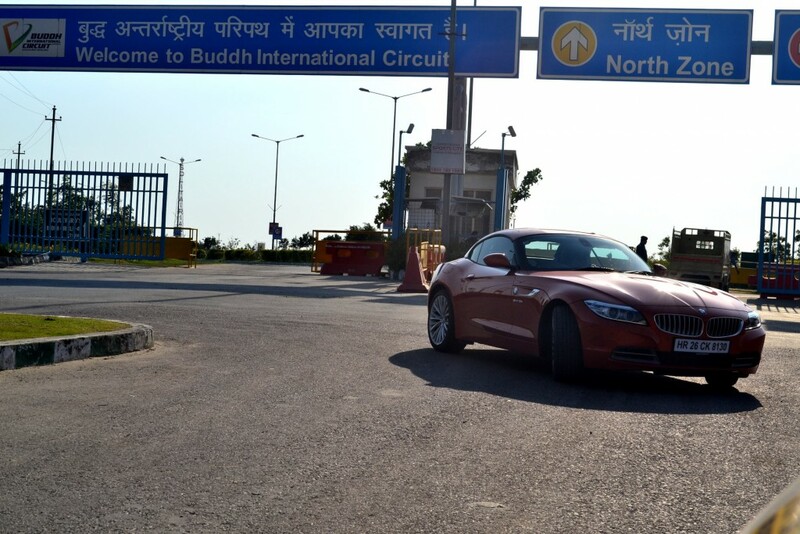 BMW launched their updated Z4 in the year 2013 in India, and we’ve got to grips with it in and around Delhi, and came away impressed with its looks. For those of you in search of a road test perspective, this might be the shortest yet most crisp account you are about to digest. The Z4 is undoubtedly the sexiest roadster ever made. It is a feast to our eyes. And when you make that haul at the traffic signal, you’re bound to get all the stares from across the street. 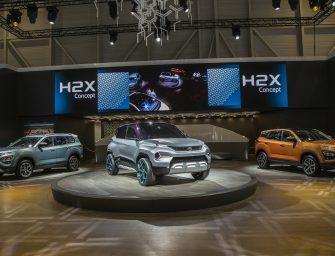 The facelift is very mild; mostly noticeable are the restyled bumpers, new chrome gills within the front flanks, a new alloy wheel design, and a refreshed grille and headlamp design. The interior is equally eye-catching, thanks to contrasting orange and black trim and Alcantara inserts. It may be a bit like spending Halloween in here, but it works well. Without the Hyper Orange package, the cabin loses its Alcantara-trimmed seats in favor of leather. Being a snug and low roadster, taller drivers may find accommodating themselves to be a bit of a squeeze. 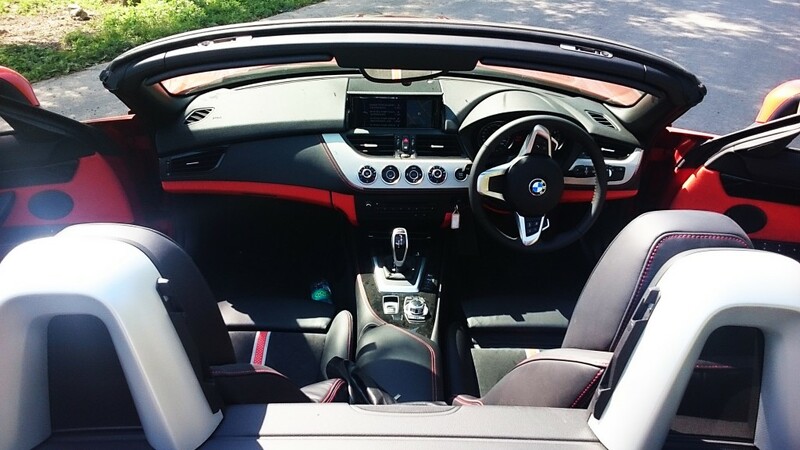 At over six-feet tall, the Z4’s interior is constraining to me. There are no mechanical changes from the previous BMW Z4, and it is powered by the same 3.0-litre, twin-turbo direct-injection motor. Right-foot down isn’t the only way to drive the Z4, but it’s the most fun. Acceleration from the turbo-six is excellent and had us questioning BMW’s claimed 302hp rating. It feels like a lot more. There’s an excellent linear progression of speed too, with no hint of turbo lag. Acceleration from rest takes you to 100kph in one seamless rush. It takes just 5.1 seconds (claimed) to reach 100kph. 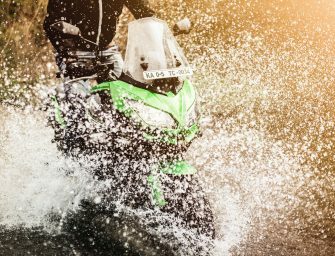 Keep the throttle pinned down for another four seconds, and you’ll be past the 140kph mark! What makes this engine very usable in everyday driving, is the really strong midrange. So driving in traffic or overtaking on the highway is just a touch of the throttle pedal away. Then there’s the way the exhaust screams, pops and crackles as the engine approaches the redline. It’s so much fun, it should be listed in the brochure as an entertainment feature. Standard with the Z4 is the ability to flip between three-driving modes: Comfort, Sport and Sport Plus. 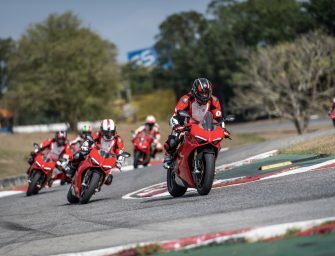 Each mode dramatically changes the way the throttle reacts, as well as how much steering effort is required. 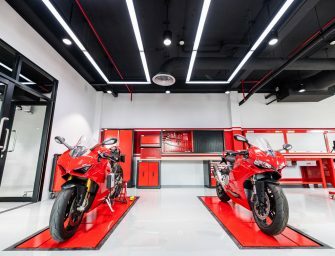 The drive modes also mirror how compliant the suspension is and how soon the stability control intervenes during sideways fun (which can happen quickly and easily). 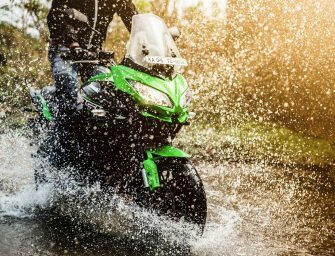 The electric power steering isn’t perfect, hinting at a bit of on-centre deadness, but that decreases in both – Sport and Sport Plus modes, where it feels heavy and engaging. 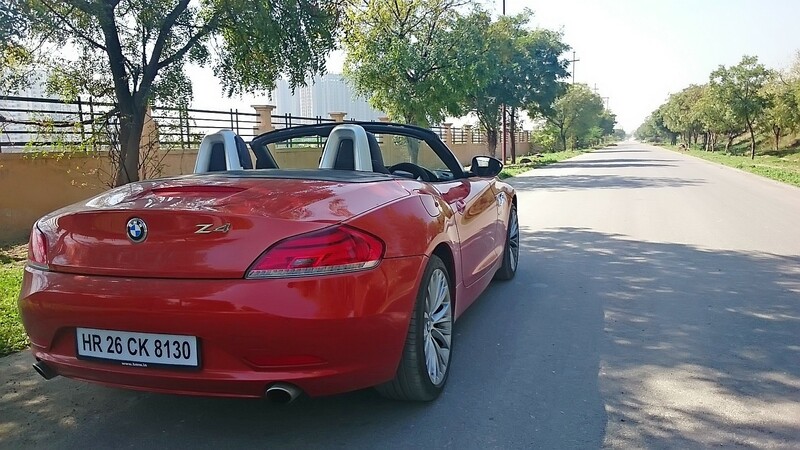 As you sit so low to the ground and almost right on top of the rear-axle, the Z4 really does feel one-with-the-road and in-tune with the driver; it’s just easy to have fun with this convertible. 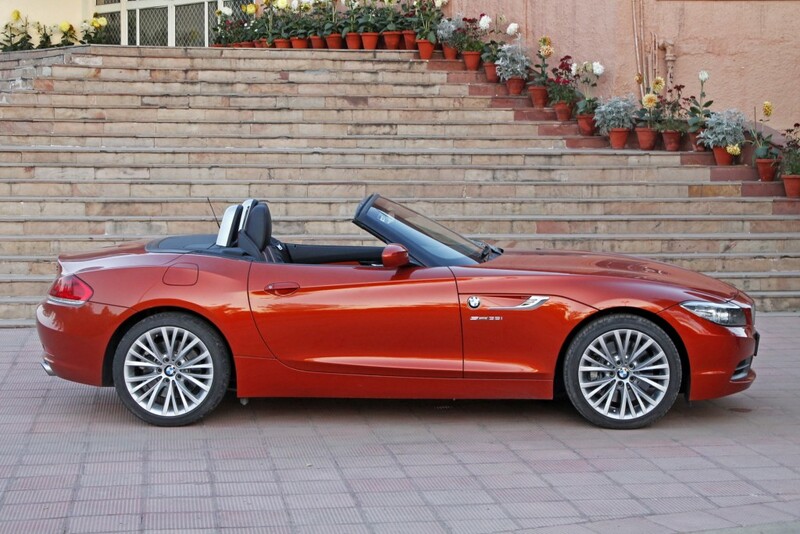 Yes, the BMW Z4 is a practical roadster. With the roof up, it is surprisingly roomy and the visibility out is good, despite the low seats. However, in hard-top mode, you realise that it’s a cramped cabin and headroom is in short supply and is quite difficult for the 6 footers to get in and out of the car, as I’d mentioned early. Quality is top-notch and all the controls are intuitively laid out. Over and above that, the Z4 now comes in the ‘Design Pure Traction’ variant, which features different interior trim options and an orange body colour exclusive to this variant. Spotting space in the cabin to keep your mobiles and other goodies leaves you quite disappointed. However, there is a storage box behind us which goes unnoticed. However, the other disadvantage of this roadster is the poor space in the luggage compartment. BMW has managed and offered 310 litres in the boot with the roof up, and with the roof down, we get a pathetic 180 litres. Whingeing about boot space in a roadster will make me look daft, so let’s just forget about it. 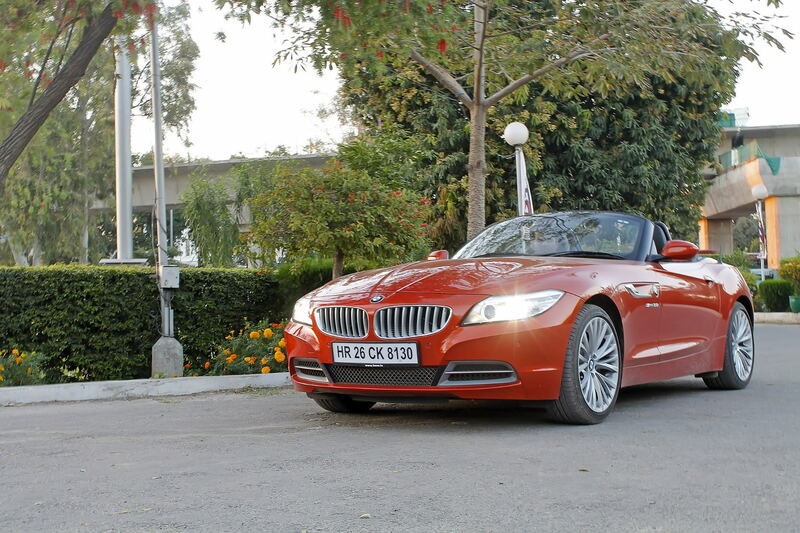 The ex-showroom price of the Z4 is Rs.68,90,000 for the SDrive35i and Rs. 69,90,000 for the Design Pure Traction variant. To sum it up, the Z4 is the car you need when you’ve decided to take your better half out for a dinner to that all-important restaurant, only to make getting out of the car seem like you’ve arrived in style.